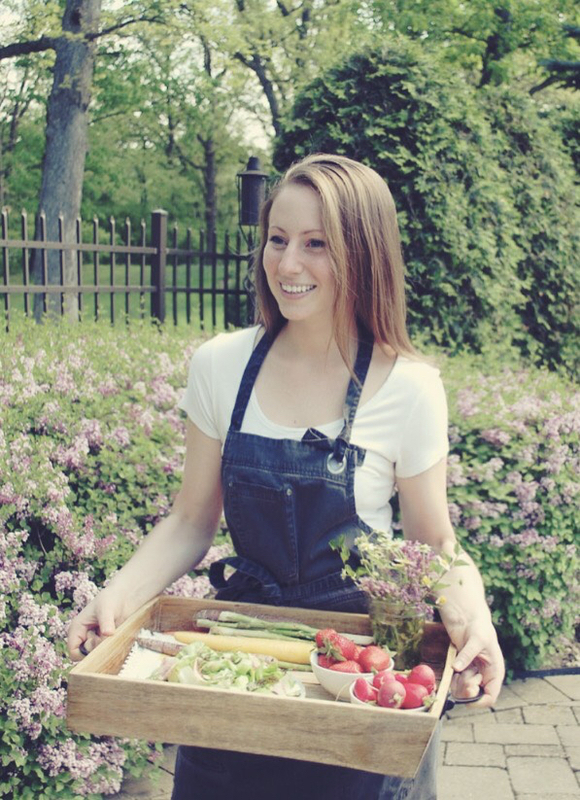 Once I tried Glory Kitchen’s Provence nut and spice mix for the first time, I was hooked. So much flavor is packed into one little perfectly sized container. The Provence blend contains cashews, dried currants, flax seeds, onion and an intriguing blend of herbs (thyme, marjoram, basil and savory) with just a touch of sea salt to bring out the other flavors. 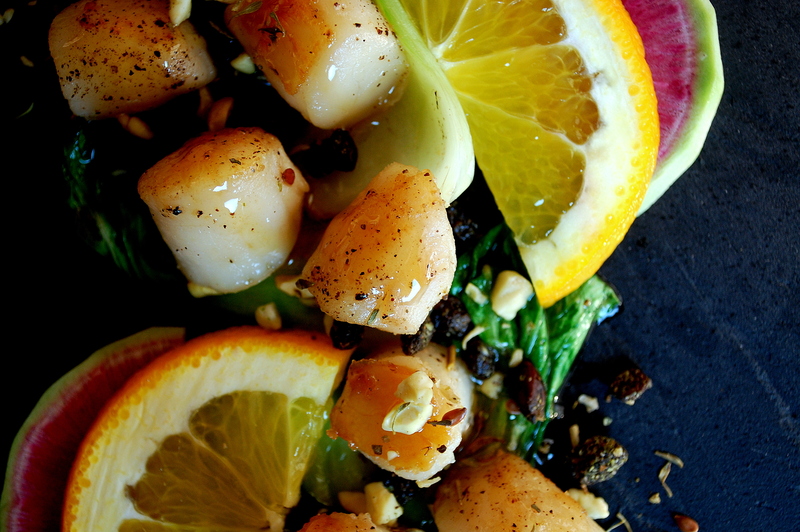 After sprinkling this mix on basically everything from roasted chicken to poached eggs, I came up with a simple bay scallop recipe using the earthy tones of the mix to compliment a sweet orange glaze. You can use sea scallops as well, but I like the smaller ones for serving this as an appetizer. They cook quickly, though, so don’t walk away for too long. Once overdone, they’ll be tough and rubbery. The glaze is reduced into a syrupy consistency with peppercorns infusing the honey and fresh orange juice. I quickly sauté some bok choy with just a pinch of salt and black pepper to use as a base. The scallops are placed on top with a drizzle of glaze over the entire dish. And for the best part, a generous amount of the nut and spice mix. It adds such wonderful flavor and takes a simple dish like this to a new level. Enjoy! 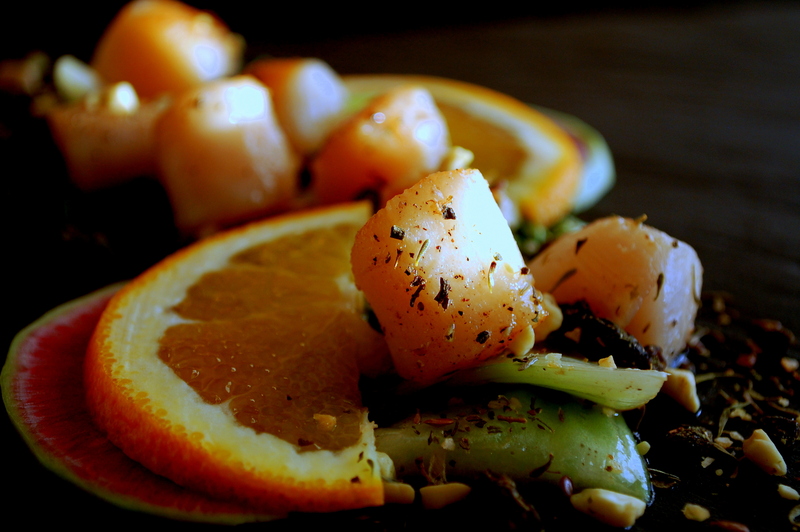 You can check out the Provence mix and my bay scallop recipe at The Glory Kitchen’s website. In a medium sauté pan, heat the oil over medium-high heat. When sizzling hot, add the scallops. Season with salt and pepper. Cook for just a minute or two per side. Remove the scallops from the pan and add the bok choy (using the same oil, plus more if needed). Season with salt and pepper. Quickly sauté the bok choy for just a minute until slightly wilted. 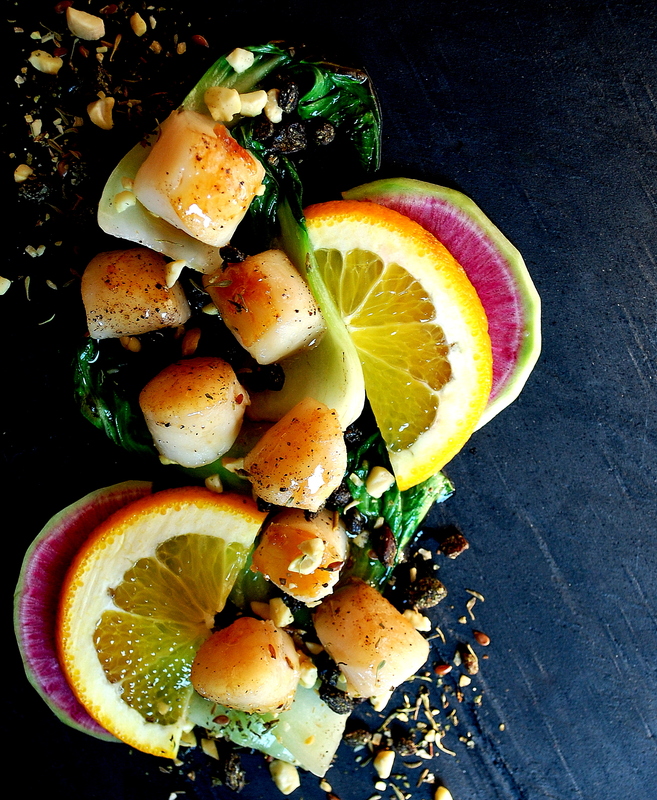 Plate the bok choy with the bay scallops and a drizzle of sweet orange glaze on top. Over the entire dish, sprinkle a generous amount of the Provence Nut & Spice Mix. Garnish with orange slices.